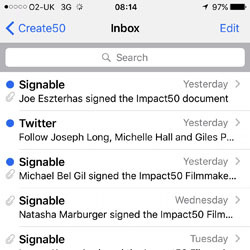 I just got the email confirming that Joe Ezsterhas signed the contract for his #Impact50 screenplay that will open the film. Boom! 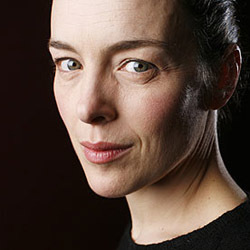 We can finally share the script that we are shooting in the coming week, with the astonishingly awesome Olivia Williams playing the president of America. You can read the script HERE and read all the other scripts that you can make to be a part of Impact50 HERE. You can read more about the campaign HERE and it would be outstanding if you could contribute toward it and help us platform so many new voices in screenwriting and filmmaking. If you haven’t seen our amazing Whitehouse location, you can see it HERE. Expect more and exciting updates in the coming weeks. One question: Is this script to be considered open for option and open for production by other filmmakers? Say someone has access to a fully functioning Oval Office set that may have been used once in a movie and is now in storage, and say a producer working on The Impact has access to that set... Can that producer make their own version of this script? Please clarify. No this script is not available for option as it was never part of the writing challenge and for other reasons.